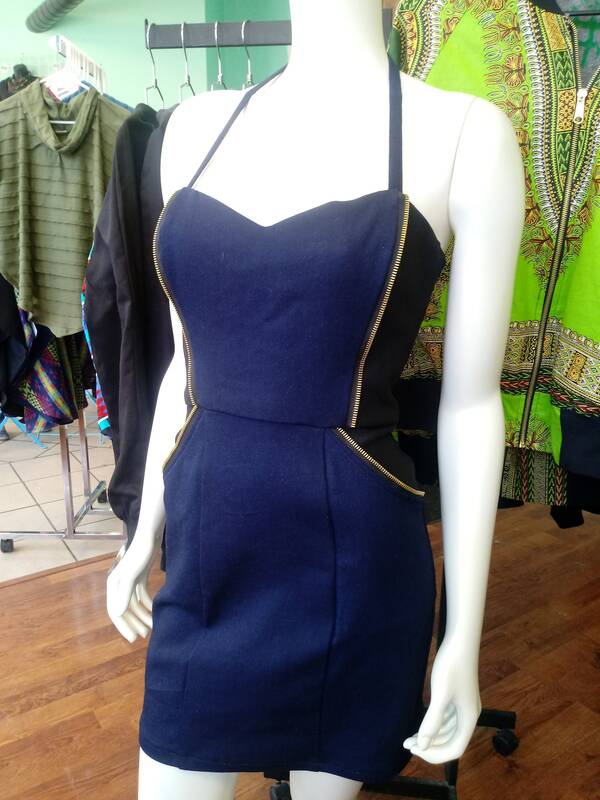 Fitted sweetheart bombshell dress in navy and black stretch denim. Corset top and princess mini skirt have metallic bronze zipper piping to draw the eye and flatter your curves. Sweetheart neckline and halter strap wrap and lift your bust. Skirt has front pockets. 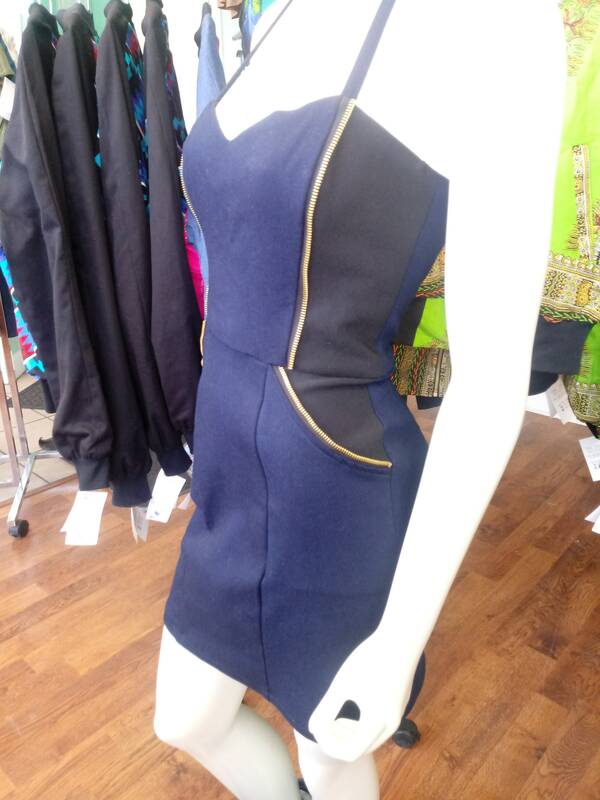 Dress has back zipper. Order by size, or send me your measurements for a customized fit! Part of the Tidal Cool Vivid! 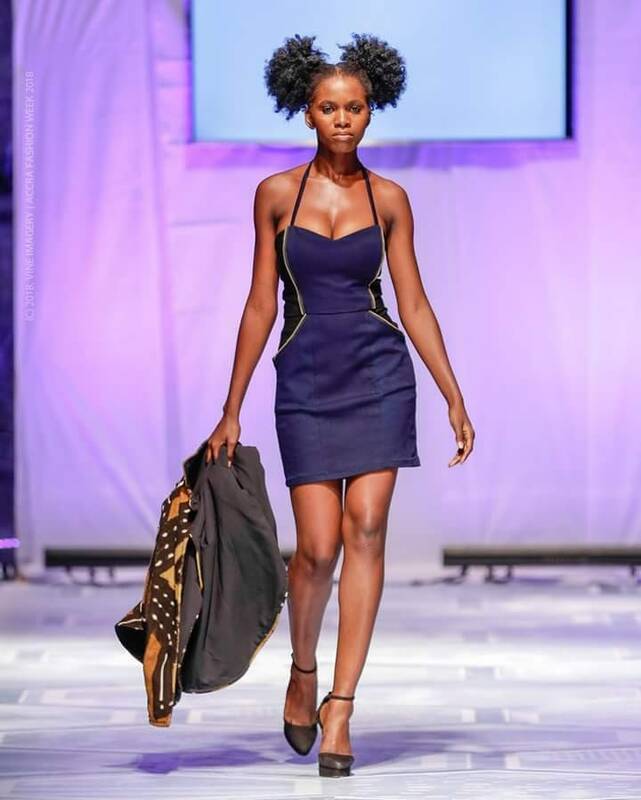 Collection, designed and shown on the runway for Accra Fashion Week 2018.